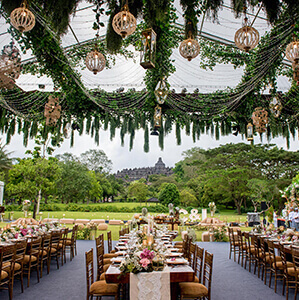 Luxury Weddings Indonesia are highly recommended by luxury venues and vendors throughout the region for their reliability and professional approach. 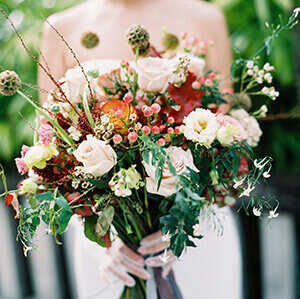 The Bali wedding planner experts have a focussed team led by Ria Kentjono, director and lead wedding planner of the company. 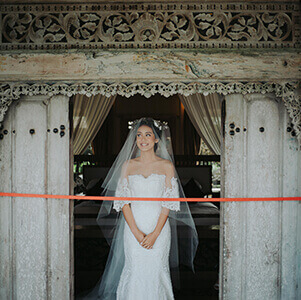 Ria has spent her whole adult life in 5-star hospitality, working in some of the finest hotels in Jakarta, Bali and Singapore, before starting Luxury Weddings Indonesia in partnership with her English husband, Adrian. 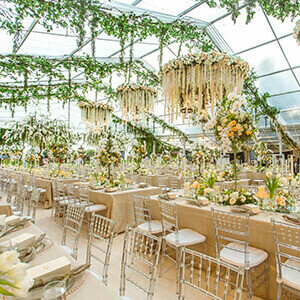 Ria was Director of weddings at Indonesia's largest wedding hotel, the Ayana Resort and Spa between March 2012 and April 2015. 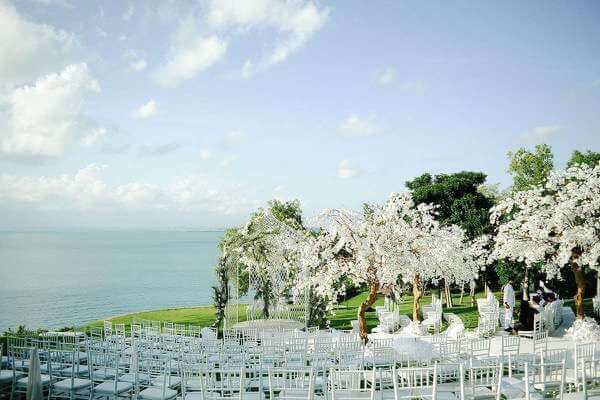 The resort has 15 wedding venues spread over the 90-hectare property. Between 300 and 500 weddings take place there every year, and Ria was involved in the wedding planning, preparation and oversight of every single one. Through her stint at the Ayana Resort and Spa and the realisation that most local, national and international wedding planners organising weddings had little knowledge or experience of handling luxury hotel weddings, Ria went on to set up The Wedding Academy, the first school for wedding professionals in Indonesia. The school offered an internationally-recognised certificate, from Weddings Beautiful Worldwide, to students who successfully completed the course. Around the same time that Ria created The Wedding Academy, she also set up Luxury Weddings Indonesia in partnership with her husband, Adrian. The company is based in Bali but caters to all of Indonesia. 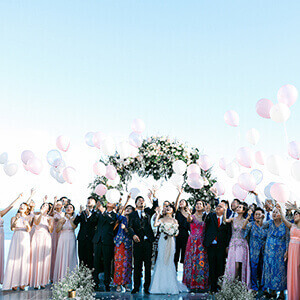 As the premier Bali wedding planner organisation they arrange weddings and events for as few as 40 guests all the way up to much larger weddings with as many as 600 guests. 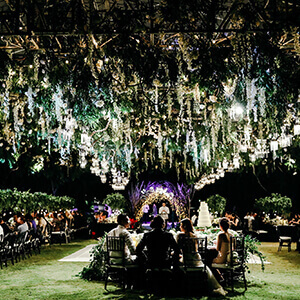 They specialise in events at luxury venues, whether its a boutique villa or a 5 star hotel. 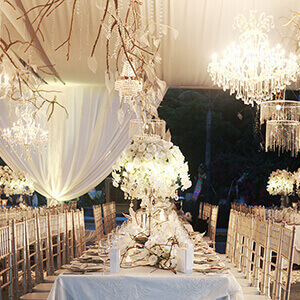 Luxury Weddings Indonesia are unique in the region as each member of their team has a solid background in 5-star hospitality. This means they all have full working knowledge of how high quality hotels function and operate, from making the necessary reservations to the operational details involved with food and beverages. 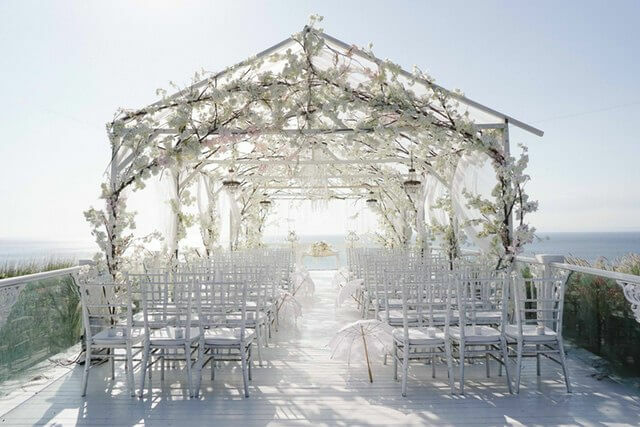 Luxury resorts and luxury venues know the company for their reliable and professional approach and for always employing an experienced and focussed team of professional wedding experts. The company is primarily a Bali wedding planner but we will plan your dream wedding for you in any unique location in Indonesia. Since the best place to start is at the beginning, expect us to commence with an initial consultation to establish the basics of your situation. This will give us a clear idea of what you want and what you are trying to achieve. From this information we can prepare a budget estimation for the entire cost of your wedding. This is not a final quote but rather a best guess and our experience tells us that it will be invariably very close. 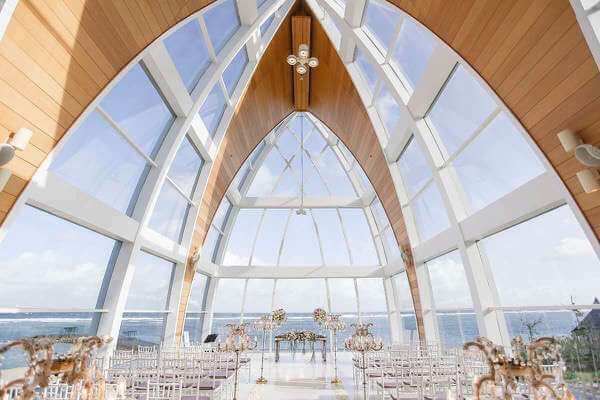 If you are happy with the estimated costs and with our wedding planning and reception options, we will ask you to sign an agreement with us and pay 50% of our fee. After that the really important part is securing the right venue for you. This is vital - good venues get booked up early so the sooner we can secure the perfect wedding venue for you, the better. With our contacts and knowledge of the wedding departments in the various hotels, we can push for extras. We can't change the prices as they are fixed, but we can usually squeeze out some extra value to give you more than just a stunning location in a unique tropical spot. You will be provided with our list of 'Approved Vendors'. This list contains all the most trusted vendors operating in Bali. We know them all personally and have worked closely with them on many previous occasions. We know we can trust them to deliver the very best results possible. Our 'Approved Vendors' list has it all, from decorators and photographers to gift box suppliers and DJ's. The list also has links to each vendor's website and their social media accounts, as well as what they charge. We can also work with any service provider you may wish to bring in from overseas. This might be a famous photographer or perhaps your favourite make-up artist, for example. We only ask that we are able to communicate with them first to ensure that we cover all eventualities. If you choose to select from our 'Approved Vendors' list, you can communicate directly with them or through us. We find it is usually a mixture of the two. Some vendors require a lot of discussion - decorators for example - while others like the photographer, the band, etc., just need to be booked. An introductory meeting and a briefing at the technical meeting is all that is required after that. We record the progress of the planning process using your wedding checklist. This list contains everything and everybody that is a part of your wedding. As you make a decision we record it in the list and update it every week with any outstanding issues that need to be decided or resolved by yourselves or from our side. This keeps everyone aware of what has been achieved and what still needs to be organised. As we get closer to the wedding day all the outstanding requirements will be filled and we will be able to publish your wedding booklet, an itinerary of your wedding day broken down into time slots and containing all the features of your wedding. An indispensable guide for everyone involved. When all the preliminary work is complete, the next item on the agenda is the wedding ceremony and reception itself - your big day! We will be with you every step of the way to ensure that it all goes smoothly. We will assign a personal assistant to the bride and another to the groom as well as one for each of your parents. In addition to all this, our entire wedding organiser team will be working non-stop until the last man or woman leaves. 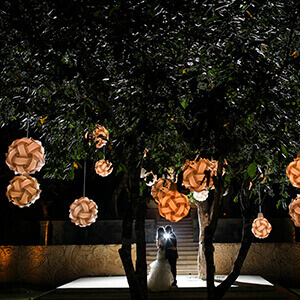 Nothing will be left to chance; we cover absolutely everything for you to make your dream day the dream you always hoped for - the day you were married in Bali. We are not a wedding factory so we don't churn out hundreds of weddings a year, we average 25 to 30 weddings annually, no more. We can't provide the highest level of client service if we are juggling too many weddings at the same time, especially more than one a weekend as it would divide our key team members. Quality over quantity. Not all clients leave reviews, some enjoy their privacy and some are very busy people but occasionally we get lucky and it's lovely when we do! I had them organized my wedding, and I was very impressed with their professionalism, care, and attention to detail. Highly recommended! There is no words to describe the effort that Luxury weddings had done for us in our wedding. Everything was perfect! Thank you so so much it was a truly unforgettable night. Many thanks to Luxury Weddings for preparing, arranging, and coordinating all the things that no wedding couples want to do. Ria and her team did a great job to accommodate all our needs and requests, and were patient with us throughout the whole process. We would greatly recommend them to any couples planning to get married.